Three way hybrid in-ear monitors sporting Electrostatics, Balanced Armature and Dynamic drivers. Before I get to the review of the cable, I think it important to say thank you to @Eric and @EffectAudio for going above and beyond in making sure that my purchase experience with Effect Audio remained top notch. What many people don’t realize is the story behind my Eros II Bespoke cable. 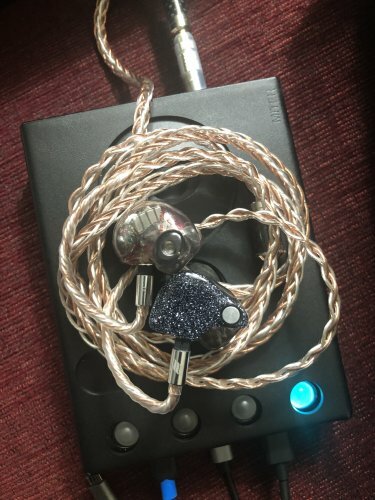 I had the privilege of jumping on the Bespoke Offer program several weeks back, which allowed me to upgrade my Thor Silver II cable to an 8-Wire Eros. What ended up happening is the cable I sent for the upgrade got lost in the mail somewhere between the USA and Singapore, and rather than put the blame on anyone or force me to wait indefinitely or make another purchase, Eric and Effect Audio honored my purchase and sent me a brand new cable. . . with expedited shipping. Everyone says the customer service of Effect Audio is top notch, and from this experience, Effect Audio’s reputation stands confirmed and true. Cables. . . ah what wonderful arguments they weave in the pages of forums for audiophiles and engineers alike! The debate rages on, and rather than involve myself in the webs they weave, I rather just allow my listening experience to dictate my decisions. The great sensei @Twister6 makes the foundational claim that what you hear through a cable is a synergy of multiple pieces, with the cable being the last piece, and I completely agree. I have recently started to get into the world of cable pairings, and it has slowly began to create within me an addiction to seeing just how different cables change the flavor of the listening experience, but like any addiction, one eventually begins to look forward to the next high. Anyone who has operated in the audiophile online community long enough will eventually cross paths with information or products by the company known as Effect Audio. Based out of Singapore, and founded by Suyang in 2009, the company has grown to be one of the leading companies in high quality earphone cables. They have a steady growing populace of followers, and they pride themselves in being the forerunners in pushing the limit and experimenting. The cables fall in one of three categories. . . The Premium Series is the company’s tried, tested and true line of cables. The Heritage Series is the company’s venture to unexplored territory of material mixture and design, The Hall of Fame is the top of the line, no expense withheld series of cables. 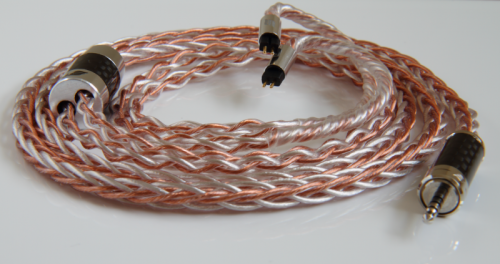 They also have a Bespoke service that through consultation allows you to create your own special blended cable. The customer service is excellent, and their presence is felt in the audiophile community around the world. Every piece of hardware I’ve owned in the past, or have listened to revolves around answering that one singular question. At times I’ll have a set that has me satisfied for a season. . . but after some time the itch returns and I begin to seek out what else is out there that can answer my driving question. Every review I do is founded on that singular focus. The Eros is a cable in Effect Audio’s Premium Series. It consists of both Thor II and Ares II cables interwoven together into a tight four wire construction. With their Bespoke service, they are able to increase the wire count to 8 wires. Aesthetically speaking, the cable is beautiful to look at. In certain light it just sparkles beautifully, almost like a copper and silver piece of artwork. Effect Audio is able to terminate it with plenty of options, from 2.5mm all the way up to 4.4mm and 2-pin to JH specific connection on the IEM side. They also give you the choice between their Rhodium plated plug or their upgraded PSquared plug. With some educational instruction from Eric, I learned that the PSquared has a sort of matte finish, whereas the Rhodium has a chrome finish. One of the areas that Effect Audio is known for is in the suppleness of the cable. They have one of the softest and most flexible cables, without sacrificing performance of design. This has a lot to do with their proprietary flexible insulation. The quality it top notch. The 8-wire is naturally slightly stiffer than the 4-wire, but I found that I actually preferred the 8-wire size to its smaller sibling. From the PSquared termination, you get a tightly woven 8-wire braid that extends up to the Y-split, where it leaves the Y split as two 4-wire variants that connect to the IEM. Despite its thickness, it is still soft and pliable, but it has just enough stiffness to prevent entanglement and to keep my CIEMs securely locked in my ear at my desk or on the road. There is no chin slider on the 8-wire, but to be honest I didn’t even notice that it wasn’t there. I’ve gotten used to the weight and don’t even notice it anymore. Microphonics have been evicted. All of my listening was done using my 64 Audio A18T connected to my Hugo2 and music played through Audirvana. The reason I named the review the way I did has everything thing to do with the sound signature of this cable. It is an uncolored cable, and so it sort of disappears into the background. Its not a particularly “fun” cable as a result, but it still performs to give you a pleasurable listening experience that is reference in nature but not one that is boring. It is a cable that does it job without complaining. I have owned the 4 wire version of both Thor II and Ares II. 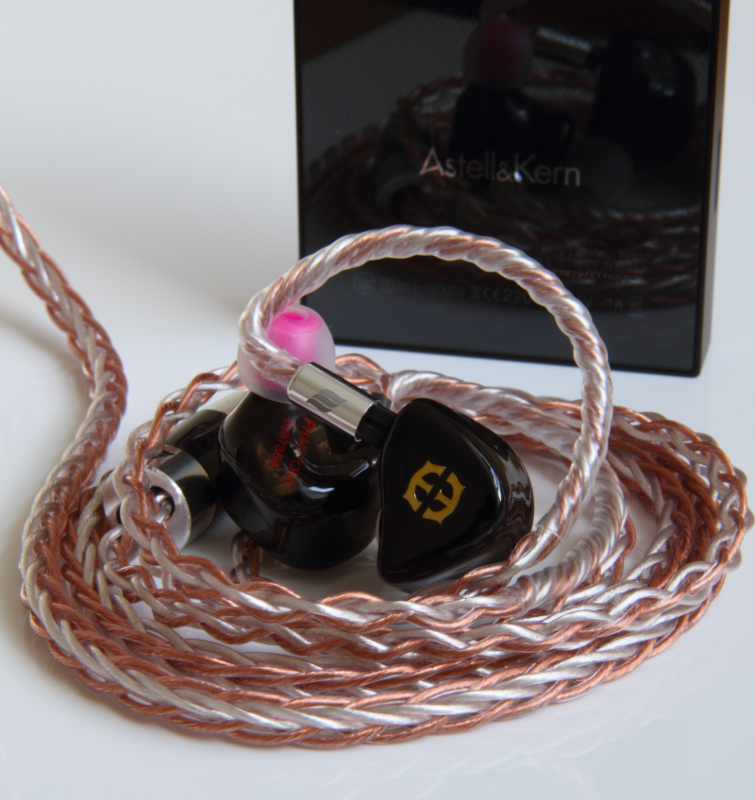 Individually, the Ares II is a warm cable with increased treble response from traditional copper based cables. Thor II, on the other end offers great treble and detail typical of silver cables, but was somehow able to still provide some low end thump. It was not a warm cable, but it did certain possess character that borrowed from warm cables, making it not your typical silver cable. With the Eros II 8-wire, what I seemed to notice is that they performed more like their stereotypical cable signatures, because of the breathability the other cable brought to the design. So the warmness of the Ares II portion of the cable was able to shine through more and the detail portion of the Thor II (without brightness) was able to shine out more. This led to a tug of war that ultimately left things balanced in delivery. Each cable ensured that the other didn’t overpower its signature. As such Eros II 8-wire operates sort of like a Ying-Yang cable. What the 8-wire improved in comparison to the individual 4-wire variants (including its own 4-wire variant) is stage width and transparency. Musical renditions seemed more spaced out across the stage, but the stage wasn’t hugely WIDER. It was just wider and more holographic enough to notice a difference. For example, in Bebe Winan’s “This Song” I was able to pick up on some of the reverb more clearly, and got a better sense of being in a live performance of the song. Layering and transparency is wonderfully present, but relaxed at the same time, improving the delivery and giving a better sense of depth. Vocals sound a bit more forward in comparison to instrumentation but the presentation as a whole felt laid back. There is still a sense of a little congestion around voices, but they still come through with enough clarity and poise to give realness and intimacy to their presentation. Norah Jones, Celine Deion, Whitney Houston all still sound beautiful. One thing I did seem to notice is that good production music (and bad ones too) were much easier to pick up on with the Eros II 8-wire. I have a certain annoyance with music that is loud but not clean, and I felt I was able to pick up more on songs that possess this annoying characteristic with the Eros. The linear characteristic of the Eros8 begins really with mid bass in my opinion. My sub bass test song is “On My Level” by Wiz Khalifa, and the cable just doesn’t reach for and present that sub bass too well. Not that it is not there, but it just doesn’t shine to a level that you feel it. However the mid bass on the cable has its presence known, and begins the linear delivery with control and body typical of a reference cable. There is a level of boominess in certain songs, but for the most part bass is clean in its delivery. Because of the linearity of the cable, vocals in this category have a sense of natural warmth to them. You get the best of both worlds with the mids, in that it performs with both warmth and clarity. The voices in “Lea Halalela” come through and just sound. . . well they sound delightfully natural. As mentioned earlier, there is a slight bit of congestion, but nothing too noticeable. This is not a bright sounding cable. Treble is rolled off well short of being bright. The tia drivers in the A18t have a tendency to cause signatures to be too bright if paired with the wrong cable, but the Eros8 does its tug of war dance very well and pulls back before tipping over to being bright. Treble is not overpowered, but not underpowered. It comes through balanced and smooth. I really enjoy having my Eros8. Is it the best cable I have heard to date? No, that title as of now goes to the PW Audio 1950. But that cable is also about 3.5 times the price. But the Eros8 is better than the 4-wire Ares II, Thor II and Eros II cables. It improves stage width, clarity, transparency, and performance. The Eros8 is beautiful in design, in ergonomics, and in presentation. It is the stable girlfriend of cables. One that you may take for granted, but find yourself coming back to because it doesn’t stress you out and just supports your music. 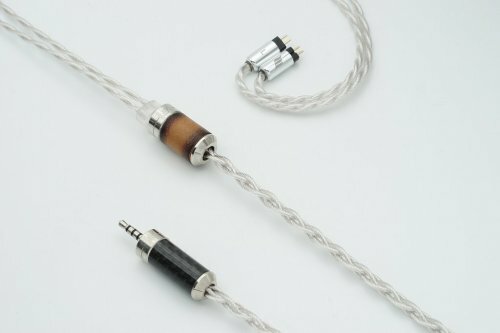 As such, the cable will pair well with just about any type of IEM or CIEM without causing problems. For the price and the performance you get from it, you get a great mid-level cable. It is balanced, and it fades into the background, allowing you to just enjoy the music you are listening to. It will be a contender in my cable comparisons going forward, since it provides a great starting reference point. I would like to thank Eric Chong from Effect Audio for providing me with the Eros II 8-wire in exchange for my honest opinion. No incentive was given for a favourable review. Here I am once again reviewing an Effect Audio cable. The Singapore-based boutique cable company has been a staple of my reviewing career and there is actually a really good reason for that. Go through my reviews and you will see there is a sort of evolution there. Starting with Ares II, I have gradually been trying out different cables and it has been just the sort of journey we audiophiles love. Tinkering with the signatures to see what differences we can hear and gradually trying to achieve audiophile nirvana. Ever since I got the Empire Ears Phantom, this has been even more so because my Phantom have instantly become my cornerstone IEMs. The ones that fit my preferences close to perfectly. Close, but not perfectly. There is always room to tinker, and tinker I do, with cables! I freely admit I am a cablephile and I love seeing what different cables do with the signature of my IEMs. Going from a standard stock cable on my Custom Art Ei.3 to Ares II (borrowed from a friend) was eye-opening, or should I say 'ear-opening' because of the differences I heard. And let's not forget 'ear-soothing', as the comfort of it was quite a world apart from the ergonomic nightmare that was "memory wire". I was so impressed I bought my own shortly after and by now I have three different Ares II cables, one 2.5mm balanced, one 3.5mm SE and one bespoke 8-wire. That last one is my go-to cable on the Phantom because of how beautifully it scales. I also love Lionheart from SE out, but that pairing seems a little fickle when it comes to source synergy. In comparison the Ares II 8-wire is the more 'does everything right' and 'scales the Phantom to grandness' option, so I settled quite comfortably there. However, I still saw some room to tinker, as I am an audiophile after all, and Eric from Effect Audio knew exactly what would tempt me to another review. The bespoke 8-wire version of Eros II, a cable I had reviewed previously in its stock 4-wire and which left with me a deep sense of loss when I had to return that one to its rightful owner. "Hello there long lost friend." The build quality is to the usual excellent standard I have come to expect from Effect Audio. The only minor niggle is that the caps on the 2-pin connectors are once again not entirely secure, but I understand Effect Audio are looking into this (and might have already resolved it by the time this review gets published). The main difference between this cable and my bespoke Ares II 8-wire is the new termination. Effect Audio recently introduced several new parts, although for bespoke 8-wire cables the old y-split is still used. I expect the new y-split is not big enough for 8-wire cables. In any case, my Eros II came with the new 2.5mm balance, PSquared termination and I was surprised by how nice it was. Very light, but also feels very sturdy. The 2.5mm termination still does not inspire the greatest confidence, but that is inherent to the width. I think Sony made the better choice there going with a nice chunky 4.4mm (Effect Audio has excellent options for this too, of course), but I use an A&K DAP and so 2.5mm it is. Comfort is once again great and I noticed that the twist where the cable goes around the ears was a little tighter, slightly improving comfort for a wearer of glasses like myself when compared to my Ares II 8-wire. Perhaps a case of 'practice makes perfect' because Effect Audio's bespoke cables have become so popular? I like to think so, although it could also simply be a coincidence. The overall looks of the cable really warrant closer attention. 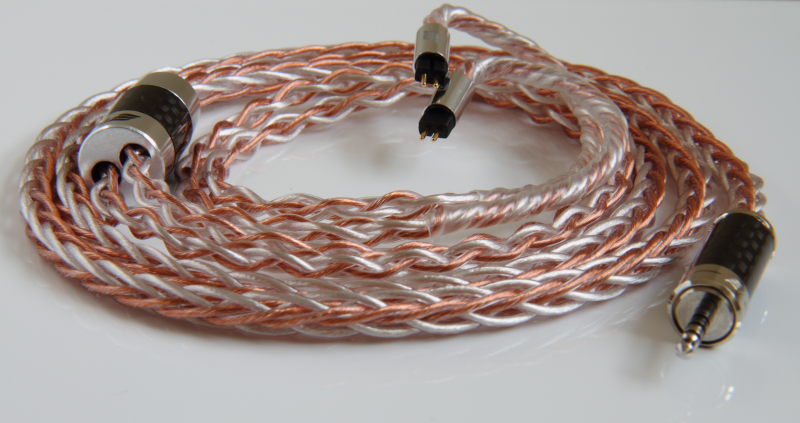 I have always loved the braiding on Effect Audio's 8-wire cables, but Eros II is especially nice because of how the copper and silver wires are braided. The result is in line with something else I have come to expect from Effect Audio, a lovely touch of bling to add some wow-factor to the cable. Even the most ardent cable sceptic might still be tempted just on these looks alone. All listening was done with my AK70 from its balanced out. Most of the listening was done with the Empire Ears Phantom, but also some with the Rhapsodio Saturn and Custom Art Ei.3. When I reviewed the standard Eros II (4-wire), I felt it was a wonderfully uncoloured cable that did not make big improvements over the stock cable in one specific area, but lots of smaller improvements all over. Fortunately, the bespoke 8-wire maintains that wonderful characteristic, but scaled in a similar way that Ares II scales from 4 wires to 8. It is a neutral/uncoloured sound that is very spacious and airy, more details come through and yet the sound has a certain effortlessness to it. That word "effortlessness" was the first word I wrote down and it seems to be typical of Eros II in both 4 and 8-wire. The most striking thing was that this effortlessness sometimes made me think my IEMs had fallen out of my ears, despite still hearing the music. It was like they disappeared. The 8-wire Eros II certainly expands the stage over the 4-wire, but I felt it did not go significantly beyond the Ares II 8-wire. It is certainly very spacious (I already called the Ares II "grand") and I feel the music opens up in front of you, more than around you, with excellent separation and layering. Combined with the more neutral sound it can tame overly warm IEMs like the Rhapsodio Saturn to receive a level of clarity that is really quite surprising. I loved that pairing, as it helped make the Saturn a little more versatile. 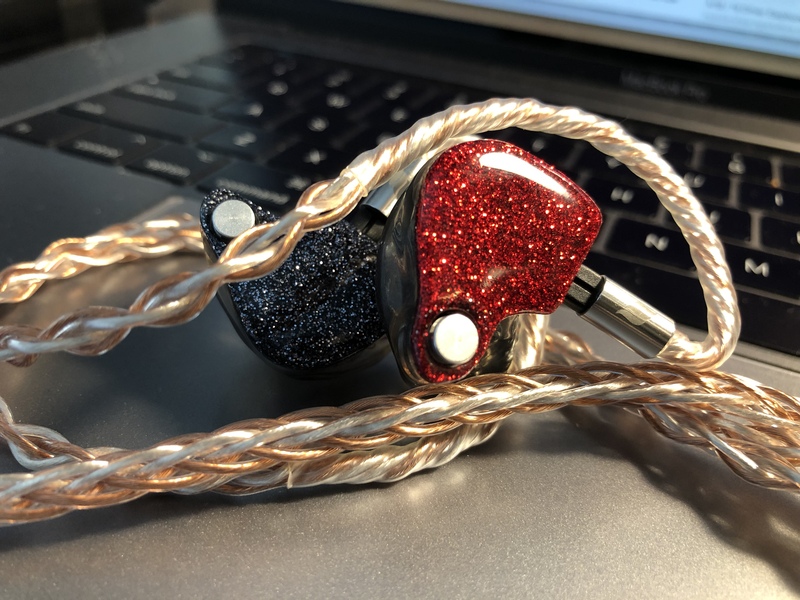 Indeed, I still think (like in my 4-wire review) that Eros II will pair well with many IEMs. While I tried different pairings, there was one to rule them all and that was with the Phantom. I always emphasise that with cables good synergy between all parts of the chain (DAP, cable, IEMs) is key and my current setup with the AK70, Eros II 8-wire and Phantom has a synergy that is truly something special. Not since I heard the Vision Ears VE5 with Lionheart have I been so utterly addicted to my music. The key aspect pulling me in time and again was the imaging. I have read Leonidas (now in its second version) can do this better. I have not heard Leonidas and I honestly can't imagine how it would sound because this, at least to me, is already stellar. The space, the air, the level of detail and the way music transitions from left to right feels spot on. It even came to a point where I was listening to Carbon Based Lifeforms' Exosphere with this pairing, and although usually it is a track I do not care for at all, this time I could not stop listening. It was like suddenly the track made sense. I am certain this was due to the imaging and the way the different and seemingly random sounds started to work together to create something that a friend of mine recently referred to as a "physical sense of space". This pairing does that really well and is something I find with classical music too. The layering and positioning in choral music such as Bach's Magnificat is outstanding. It draws me into the music by making it so captivating, so alluring, like a Siren luring me in and making me a cup of coffee with a slice of cake because I am listening from the comfort of my own sofa. No dangers of crashing here, just sheer joy. The bass on Eros II feels like it is tighter and more controlled. I said that in my 4-wire review and once again this is the impression I get with the 8-wire. Especially with the Phantom this is noticeable. From everything I have learned of the Phantom's tuning, I understand the bass is a key part in giving them that characteristic natural tonality. Eros II reduces some of the bass quantity compared to the stock Ares II, but maintains enough of it not to harm that aspect of the tuning. The notes are not quite as thick and instruments are not quite as full sounding, but never does it feel like the bass is lacking. Indeed when called for, the Phantom with Eros II are still very capable of a good rumble. Bass instruments also still maintain their natural resonance and I love listening to Bach's Cello Concertos as more details come through of the playing techniques. Equally, when listening to Caro Emerald's Acoustic Sessions album, especially a track like Back it Up, there is no sense of loss in the excitement of the track with that wonderful double bass accompanying the sweet, sweet voice of Caro. I have read some criticism of the Phantom, mostly that the Phantom are too thick and warm to be natural. I think that perhaps for those people Eros II might be a great way to achieve a natural tonality as they see it. Perhaps something to let them try out at a Canjam one day. The mids are a real strength of Eros II, even for Effect Audio, who I feel are always very good at making cables that excel in the mid range. Like with the 4-wire, the 8-wire does something with vocals that I especially like. It does not push vocals forward very strongly, not like the Ares II 8-wire, but gives them a clarity and presence that is strong in and of itself. It is very natural and very alluring and works amazingly well for solo vocals such as London Grammar's Hannah Reid, as well as highly layered choral pieces such as Bach's Magnificat. Male and female vocals have pretty much equal strength, greatly benefitting the layering in such complex choral pieces. As indicated in the bass sections, Eros II maintains enough warmth for instruments to sound natural and this can be clearly heard with mid-range instruments such as woodwinds. I love those instruments and, after adjusting to the more neutral tone, have grown to love the balance that is achieved among mid-range instruments in classical symphonies such as my favourites; Beethoven's 3rd and 5th. The woodwinds are not quite as prominent, but have enough presence to rise above the rest when needed with a great sense of realism. Everything is well balanced, refined and (there is that word again) effortless. Mid-range clarity is improved and is something that can benefit more V-shaped IEMs, if that is what you would like. I felt it worked very well with the more V-shaped, overly warm Saturn. 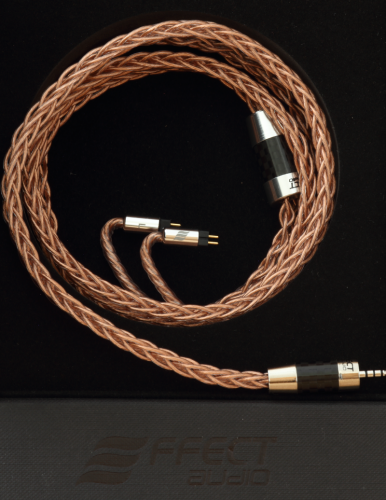 As can be expected from an Effect Audio cable, the treble is very smooth and linear. No peaks here. There is some added sparkle that comes through, but I expect this has more to do with the reduced warmth from the bass rather than any specific lift in the treble. If there is a lift it is only slight and done linearly. I think Eros II works very well to add that bit more bite and sparkle without introducing any peaks or harshness. With the Phantom this bite sits just in the right place that I actually love that about this pairing. It is however a word of warning for anyone who owns the Phantom and already has some sensitivity to their treble with the stock cable. Eros II might not resolve that and in that case Lionheart might be a more interesting option to explore. My love... The Ares II 8-wire really impressed me in its synergy with my Phantom, as well as my Ei.3 and Saturn. In fact, my Ei.3 with Ares II is my favourite pairing for playing video games. What I loved most of all though was listening to Beethoven with my Phantom and the Ares II. It is a bold and exciting pairing with thick notes, full instruments and quite forward and strong vocals that can at times sound eerily realistic, like the words are being whispered in your ears. Eros II is more neutral and refined by comparison. Notes are not as thick and vocals not as forward. Eros II also gives less a sense of the venue when listening to Beethoven, although in its own way the presentation is enticing because of the quality of the imaging. By comparison Eros II fairs much better with violin music, where Ares II is a little too sweet and does not achieve the level of articulation that Eros II achieves. What surprised me most was that although Eros II is more neutral, I found the pairing with my Phantom more versatile. That is something very unexpected, as my preference is usually towards a warmer thicker sound, but the technical advantages that Eros II brings seem to work with everything I can throw at it. Now here is an interesting one, especially with the Phantom. Where the Eros II seems to get out of the way and does not make significant changes to the sound, the X6 Tri-Copper injects a wonderful dose of fun into the mix. The stage of Eros II is larger and more airy, throwing out the music in front of you. The X6 contrasts this by being more intimate (relatively speaking) and surrounding the listener in sound with heaps of detail that Eros II simply cannot match. Eros II is linear in its sound and especially the treble is very smooth and refined. The X6 makes the bass of the Phantom come alive and adds lots of sparkle on top. Indeed, I think that relative to each other Eros II's strength is in the mids, where the X6's strengths are in the bass and treble. For example, the pairing with the Rhapsodio Saturn was better in the case of Eros II because the Saturn come stock with an SPC cable and I always felt the mids were rather far back. Eros II resolved this a bit better, although I can't but admit that for 'moar bass' the X6 is still my weapon of choice for the Saturn. I love both these cables for completely different reasons and (if possible) would highly recommend trying them out before deciding. I think synergy will be key to what works best with certain IEMs, but both I expect will pair well with many IEMs. In a thread on Head-fi I explained my thoughts on the Eros II 8-wire as following: "Like seeing an old friend who has matured to become an even better friend." I could have said "like an old friend who has enjoyed life and added a little weight", but I think the former is more accurate. The 8-wire feels very similar to the 4-wire version of Eros II, although I sadly did not have that one around anymore to compare directly. This is based on simply writing down very similar notes and using the same words at times. Eros II 8-wire is an uncoloured cable that gets out of the way. 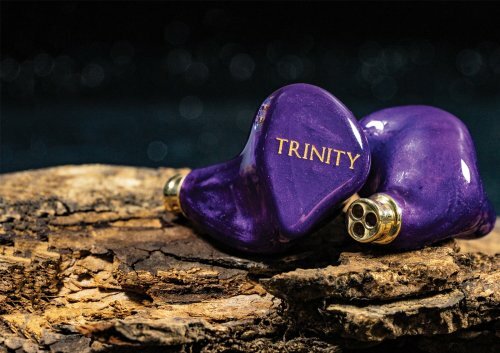 It adds space, air and detail and is highly versatile in its pairing with a wide variety of IEMs. It is a little bulky, as all 26 AWG, 8-wire cables inherently are, but is surprisingly comfortable nonetheless. It is an expensive upgrade, but with the right IEMs such as the Empire Ears Phantom, the synergy is capable of resulting in something truly special. Highly worth a demo!